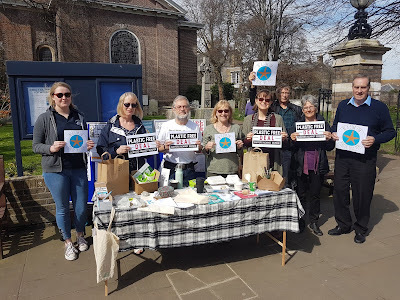 Deal Town Council has voted to support 'Plastic Free Deal' this week. The aim is to get individuals, community groups, businesses and local authorities to pledge to ditch at least three items of single use plastic. 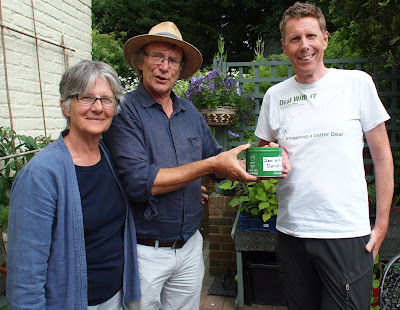 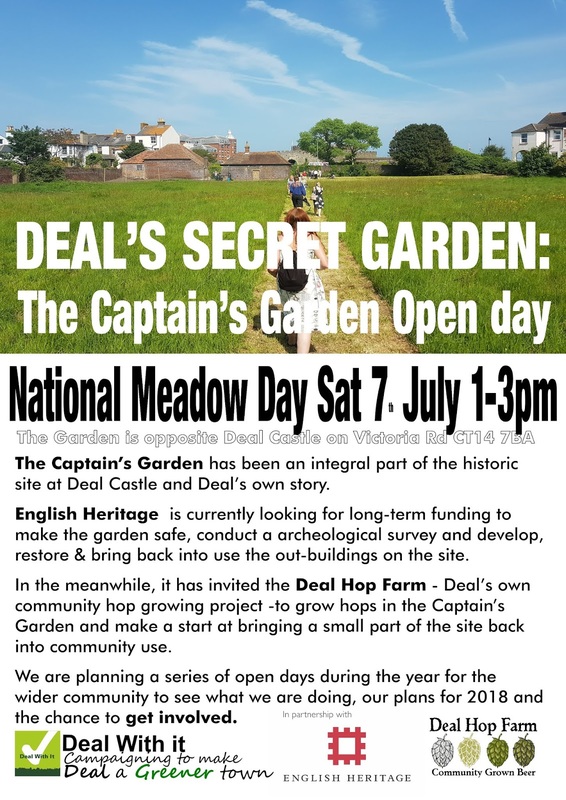 Launching in early summer 2018 in the Dover, Deal & Sandwich area, Refill East Kent is a joint project of Kingsdown Conservation Group, Deal With It – Transition Deal and Transition Dover. 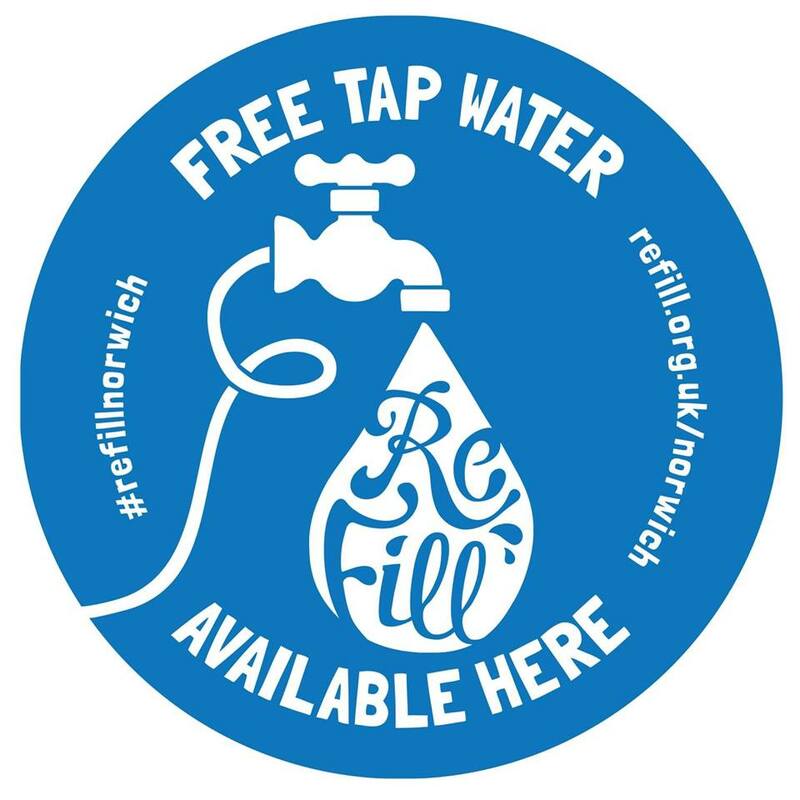 "The Refill team are delighted to have such great support from local businesses and our volunteers. 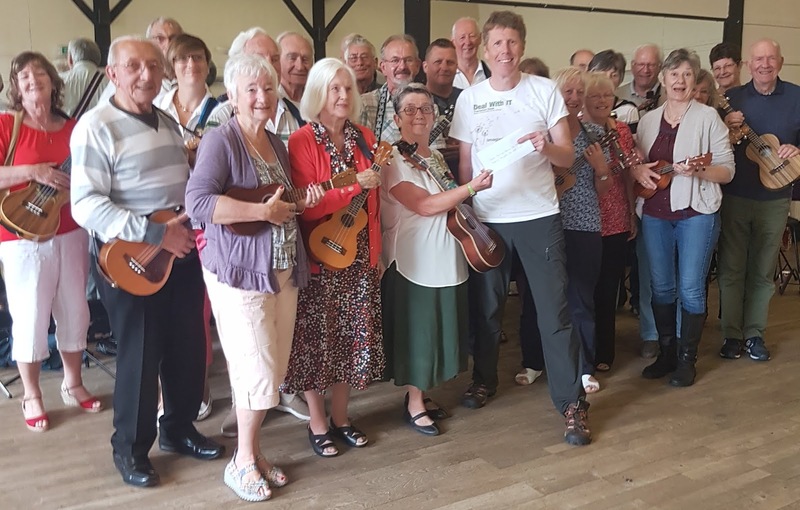 We have signed up over 35 before launch and are looking forward to many more joining us as the summer progresses. 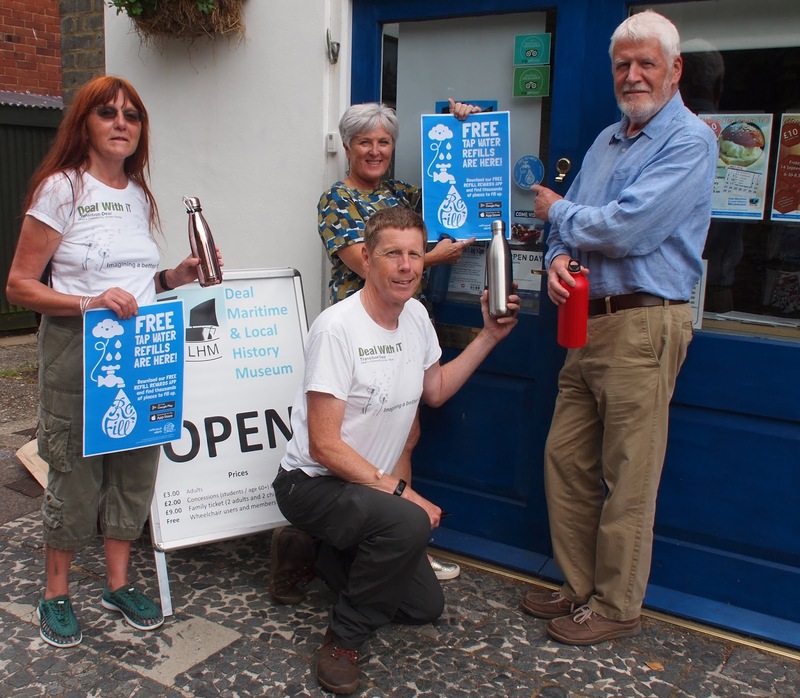 Participating Refill Stations include the Deal Maritime Museum, Astor Theatre, Smugglers Records, Chequers Cookery School, Just Reproach, Slow Food Café, Seaward Gallery, Café at Pines Calyx, Park Café, The Post Room at Deal Station, Mrs Knotts at South Foreland Lighthouse, Spires Bar, Goose on the Green, Sea Café, St Margaret bay kiosk, Tempted Café at Eastry, White Cliffs Centre, The Lighthouse, Freedman, Piece of Cake, Scrumalicious and the Sandwich Shop. 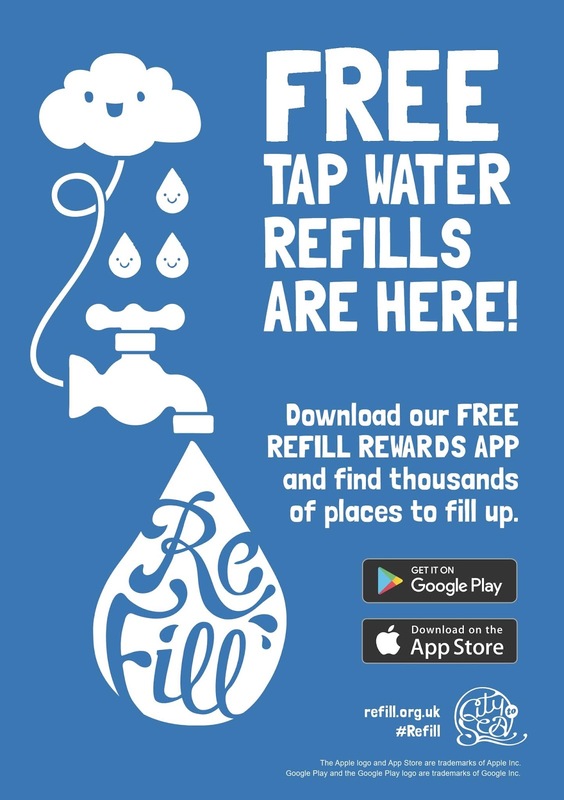 The Refill App shows the nearest Station and every time you refill using the app you get points which go towards a Chilly’s water bottle. It is a simple idea which will reduce the amount of single use plastic bottles. 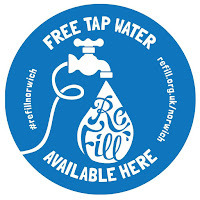 We are also taking the Refill message to many schools in the district and targeting the districts walking and cycling trails"
Refill is a national, free tap water initiative designed to reduce plastic pollution, and make refilling a water bottle easy. 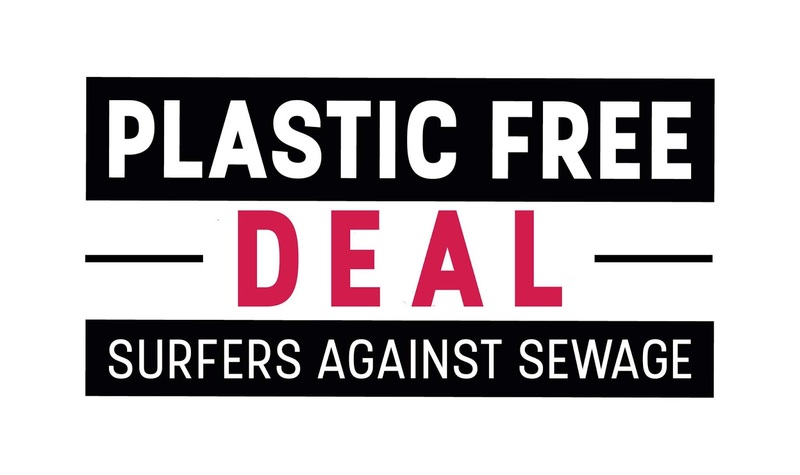 The aim is to reduce the number of plastic bottles ending up in our oceans, while keeping you healthy, hydrated and saving you money at the same time. So now over 10,000 friendly cafes, shops, hotels and businesses are welcoming you in to refill your water. Massive thank you Sue and Adrian Sullivan who had a 'Open Wildlife Garden' for the last three days and raised over £400 for Deal With It. 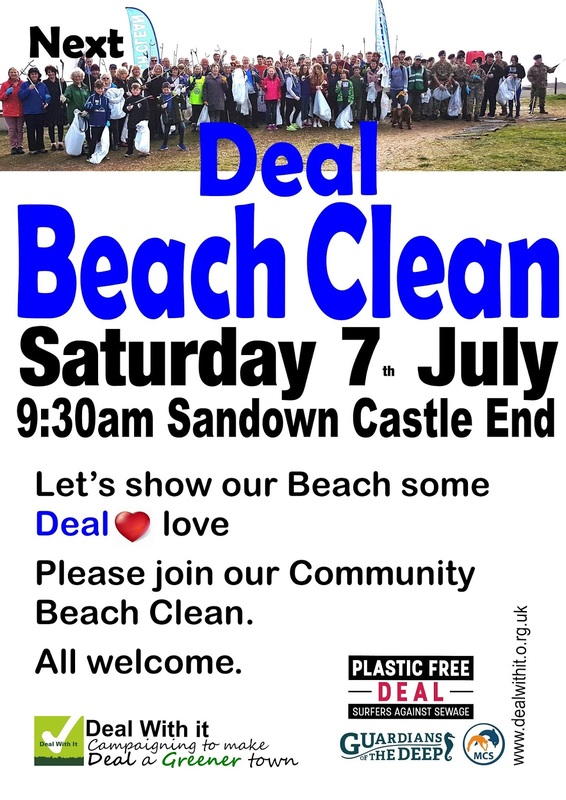 Thank you everyone who contributed. The Landmark Ukulele Club (which meets every Friday at 10am at the Landmark Centre - £1 per session) has very kindly made a second donation of £200 to Deal With iT today. 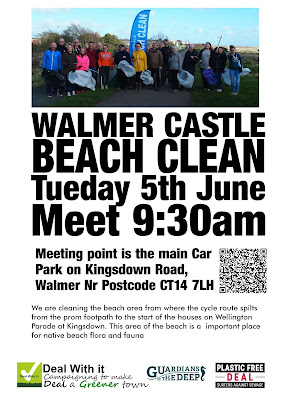 Early in the year the club donated money so we could buy more pickers for our Beach Cleans. 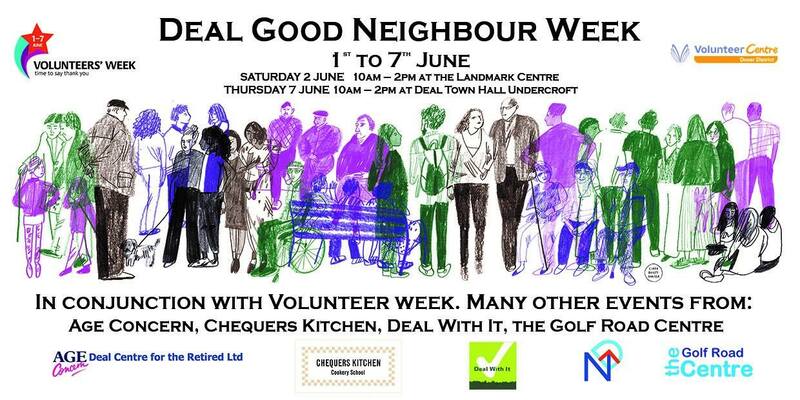 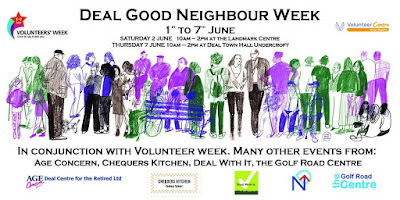 Deal Good Neighbour Week starts today. 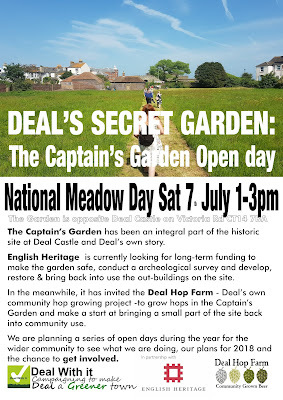 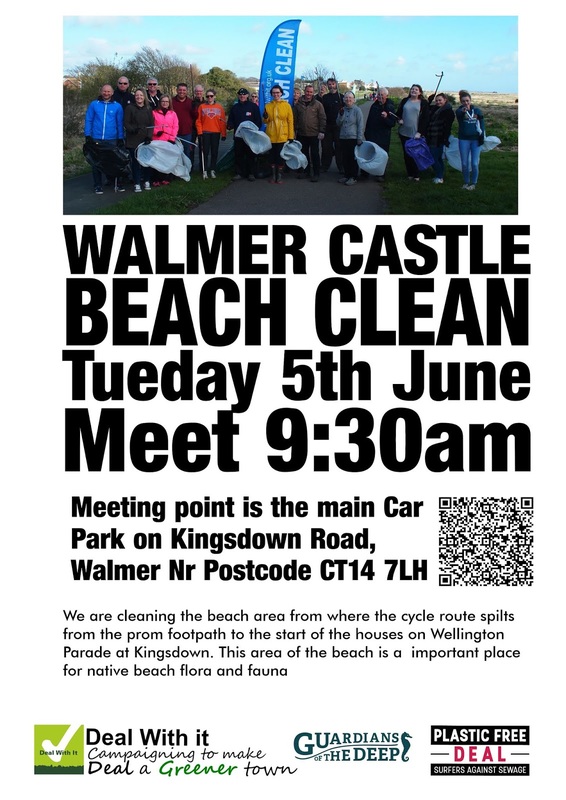 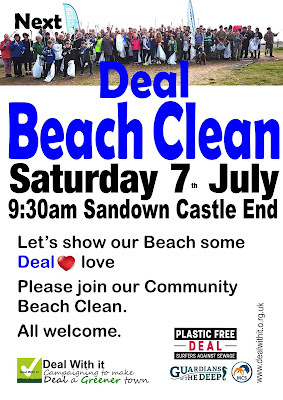 Why not get involved with our beach cleans, community gardens, green energy, Deal Hop Farm, Guardians of the Deep, Wildlife, Bees and other stuff ?